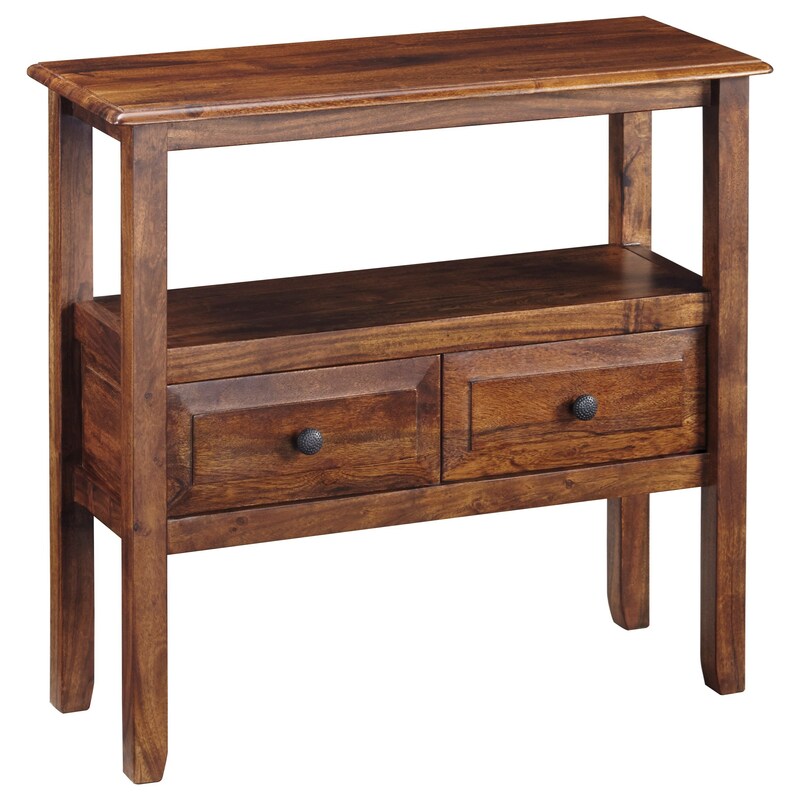 For a hallway or a living room, this simple and stylish console/accent table makes a great impression on your decor. 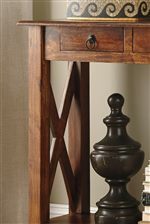 Made with solid acacia wood in a warm brown finish, its two beveled drawers and an open shelf provide useful storage. The Abbonto Acacia Solid Wood Accent Table by StyleLine at EFO Furniture Outlet in the Dunmore, Scranton, Wilkes-Barre, NEPA, Bloomsburg, Pennsylvania area. Product availability may vary. Contact us for the most current availability on this product. The Abbonto collection is a great option if you are looking for Casual furniture in the Dunmore, Scranton, Wilkes-Barre, NEPA, Bloomsburg, Pennsylvania area. Browse other items in the Abbonto collection from EFO Furniture Outlet in the Dunmore, Scranton, Wilkes-Barre, NEPA, Bloomsburg, Pennsylvania area.